The greatest sprinters of all time based on achievements in the World Championship, Olympic Games and World Records performances. Carl Lewis (born July 1, 1961) is a retired American track and field athlete who won 10 Olympic medals including 9 gold, and 10 World Championships medals, of which 8 were gold, in a career that spanned from 1979 when he first achieved a world ranking to 1996 when he last won an Olympic title and subsequently retired. Lewis was a dominant sprinter and long jumper who topped the world rankings in the 100 m, 200 m and long jump events frequently from 1981 to the early 1990s, was named Athlete of the Year by Track and Field News in 1982, 1983 and 1984, and set world records in the 100 m, 4 x 100 m and 4 x 200 m relays. His world record in the indoor long jump has stood since 1984 and his 65 consecutive victories in the long jump achieved over a span of 10 years is one of the sport’s longest undefeated streaks. Michael Johnson (born September 13, 1967) is a retired American sprinter. He won four Olympic gold medals and was crowned world champion eight times. Johnson currently holds the world record in the 400 m and 4 x 400 m relay and formerly held the world record in the 200 m and Indoor 400 m. His 200 m time of 19.32 at the Atlanta Olympics stood as a record for over 12 years. He is the only male athlete in history to win both the 200 m and 400 m events at the same Olympics, a feat he accomplished at the 1996 Summer Olympics in Atlanta, Georgia. Johnson is also the only man to successfully defend his Olympic title in the 400 m. Aside from his Olympic success Johnson accumulated eight gold medals at World Championships, and is thus tied with Carl Lewis for the most medals won by any athlete in history. Usain Bolt ( born 21 August 1986), is a Jamaican sprinter and a three-time Olympic gold medalist. 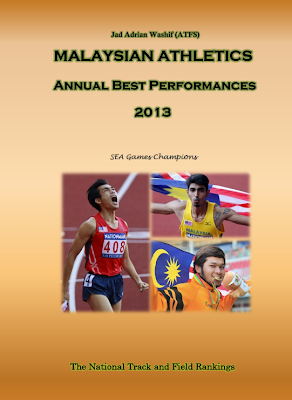 He holds the world record for the 100 metres, the 200 metres and, along with his teammates, the 4x100 metres relay. He also holds the Olympic record for all three of these races. 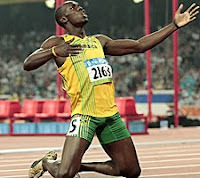 At the 2008 Summer Olympics, Bolt became the first man to win three sprinting events at a single Olympics since Carl Lewis in 1984, and the first man to set world records in all three at a single Olympics. In 2009 he became the first man to hold the 100 and 200 m world and Olympic titles at the same time. In August 2009, a year after the Beijing Olympics, he lowered his own 100 m and 200 m world records to 9.58 s and 19.19 s respectively at the 2009 World Championships. His record breaking margin in 100 m is the highest since the start of digital time measurements. 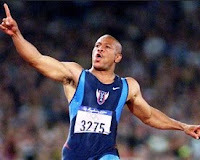 Maurice Greene (born July 23, 1974) is an American former track and field sprinter. 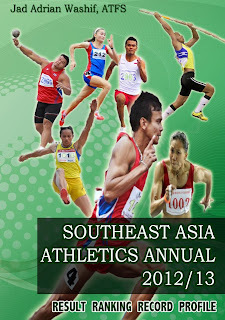 He is a former 100 m world record holder with a time of 9.79s (1999-2005). He won two Olympic gold medals and was a five-time World Champion which included three golds at the 1999 World Championships, a feat which had previously only been done by Carl Lewis. He was the 1999 Indoor World Champion and remains the world record holder in the 60 meter dash (set twice) and the joint-fastest man over 50 meters. 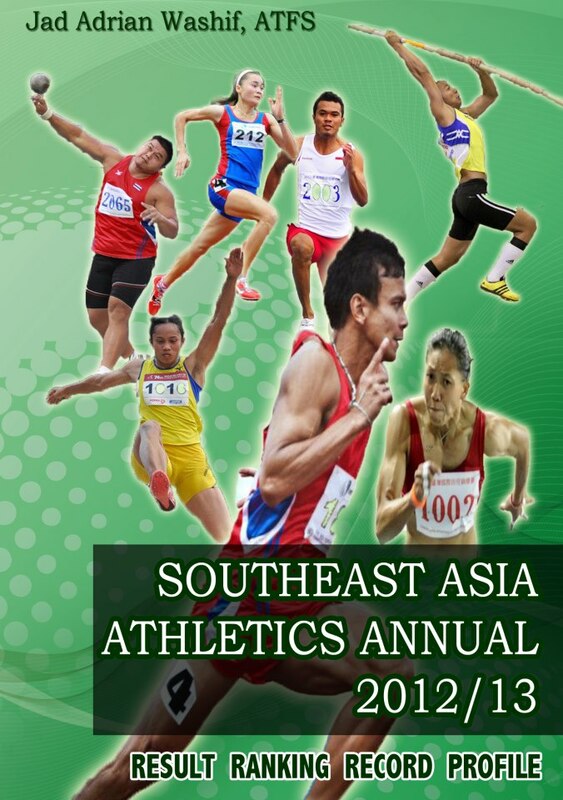 Maurice Greene is the only sprinter to hold the 60 m and 100 m world records at the same time. 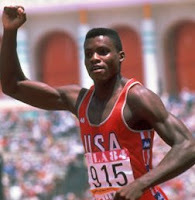 Greene ran 53 sub-10 second 100 m races during his career, which at the time was more than any other sprinter in history. *Having runs 53 times sub 10s in 100m.